The keyboard Lenovo USB SmartCard with an integrated chip card reader, adjustable angle and a 2m cable for added convenience. 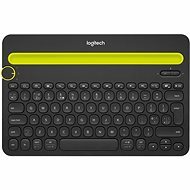 This keyboard is a great complement for identifying systems, banking transactions, secure user login, or secure web applications. The keyboard works with all smart cards in accordance with ISO 7816-1, 2, 3, 4 and microprocessor chip cards (T = 0, T = 1). 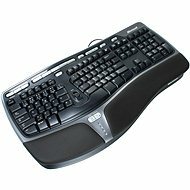 The keyboard has a very solid structure with 104 buttons and a Czech layout. It suits every environment where you need to verify the user - typically when working with sensitive data. 45.3 cm (453 mm) Done! 2.7 cm (27 mm) Done! 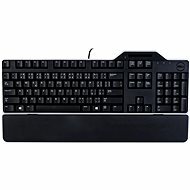 For shipping to other EU countries visit this page Lenovo USB Smartcard Keyboard - Czech. Chcete doručit zboží do Česka? Prohlédněte si Lenovo USB Smartcard Keyboard - Czech. Chcete doručiť tovar na Slovensko? Prezrite si Lenovo USB Smartcard Keyboard - Czech.